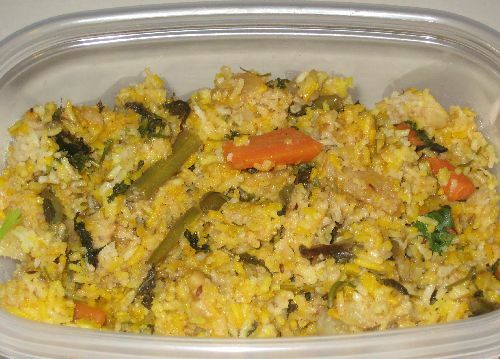 An easy Eral Biryani from Tamilnadu !! 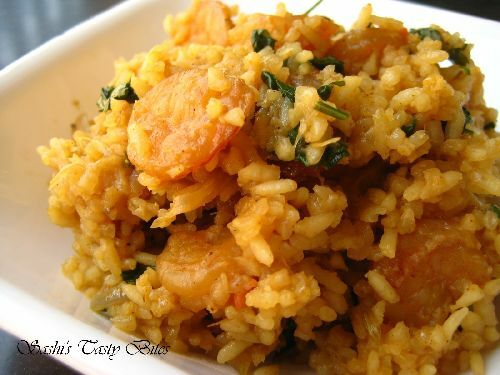 Soak rice for 30 min, wash it thoroughly and drain the water. Clean the shrimp, remove tails, head and devein, wash thoroughly. Chop Onion, tomato, coriander leaves and mint leaves. Slit open green chili. Grind ginger and garlic paste. In a pressure cooker add oil. When hot, add Bay Leaves, cloves, cinnamon, cardamom and star anise. Add the chopped Onion immediately and ¼ tsp of salt. When the onion turns brown, add the ginger garlic pate. Fry this till raw smell leaves, approximately 3 min in medium flame. Stir often to avoid the burn. Add the green chili, mint & coriander leaves and fry for 1 min. Add chopped tomatoes and cook till it becomes gravy. Add the Shrimp and fry for until it's cooked in the oil. Water released from the shrimp is good enough to cook it. Add the turmeric, biryani masala powder, yogurt, coconut milk and water. Add the rice and mix well for 2 min in Medium flame. Check for salt. Add ghee and mix well. Close the cooker lid and pressure cook for 2 whistles and reduce the flame to the lowest setting and allow it to stay for 30 min. 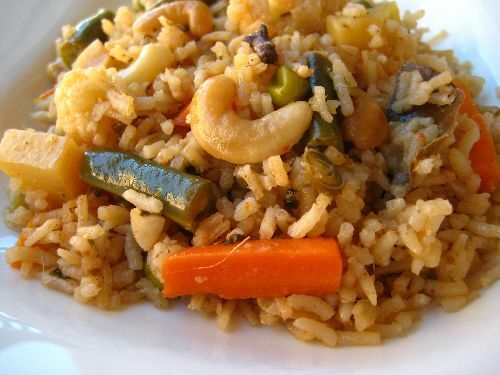 Garnish with extra coriander leaves and add cashew nuts. Add other spices like nutmeg, rose petals to get extra flavor. Over cook the shrimp would turn it rubbery. Simmer the flame at the end to make the fluffy biryani. Can i make his biriyani in a rice cooker? what should be the water measurement for making biriyani in a rice cooker. please guide me. 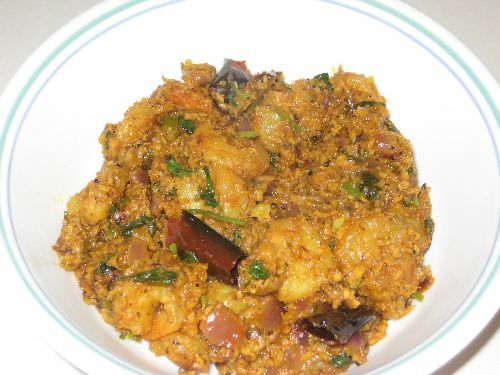 Pragyan, you can prepare this in rice cooker as well. 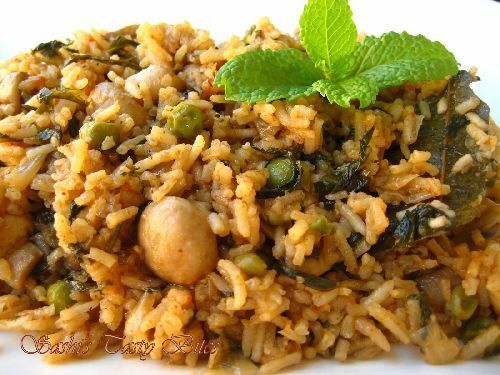 if you are soaking rice for more than 10 min then you e ratio should be 1:1 1/2 ( Rice: Water) else it’s 1:1 3/4 or 1:2 depending upon how you want your biriyani to be cooked. 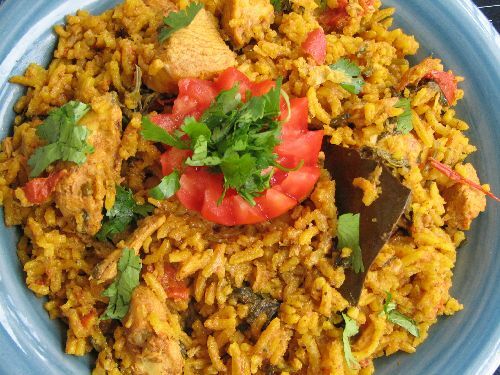 Ive just had dinner ..TWICE(its a long story)..and this biriyani still tempts me! Wow! 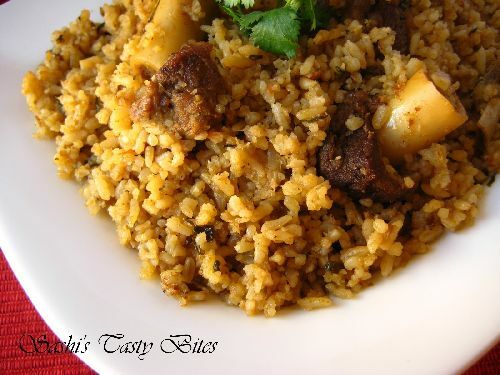 I love the soft fluffy biryani! I wouldn’t leave a morsel! Thanks Nnadhini. Then my attempt of this recipe is a hit now.